Clerk of the Course Phil Taubman reported dry roads all round the course for the 2013 Newcomers Races, the first of the 2013 Manx Grand Prix Race meeting. The Newcomers A race, predominantly featuring 600cc machines, Newcomer B for SuperTwin bikes and Newcomer C Race for Lightweight machines, got underway on time at 10.15. London based Neil Gregory was first away on his Triumph Daytona from Northwich rider from Northern Ireland’s Connor Behan with Daley Mathison from County Durham third away. Neil Lyons was the first on the clock to Glen Helen from Chris Dixon and Australian Alexander Picket, the fastest qualifier, a couple of seconds back but Dixon and Pickett both moved past the Irish rider by Ballaugh and he was eventually reported as retiring in the pits at the end of the opening lap. Conor Behan, the leader on the road, was first to the grandstand with a 111.298 opening lap but was passed on the clock by Christopher Dixon (113.527mph/19:56.437), Marc Livesey (112.659/20.05.646) and Alexander Pickett 112.504/20:07.31 with Dixon holding a commanding lead of over nine seconds from the second placed man. With pit strategies still to unfold, only Alexander Pickett of the leading riders, on the Ducati 848, came in for fuel at the end of the opening lap and with the team advising that they would have to pit at the end of every lap, it was clear that they would face a challenge to keep a podium place. 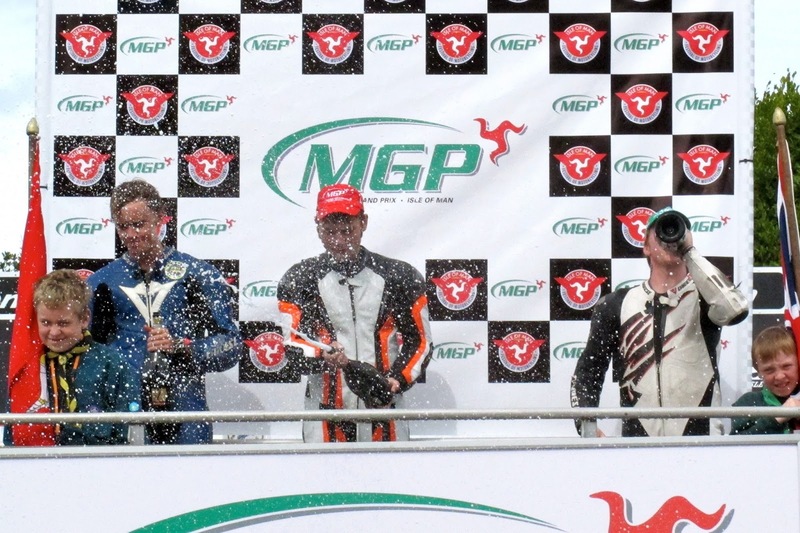 However, Dixon was having no such problems and extended his lead to almost forty seconds by the end of the second lap from Livesey (20:12.26) with Behan moving into the top three. Dixon needed the lead he’d built up as he was hit with a thirty-second time penalty for speeding out of the pits at the end of the second lap. This cut his lead over Behan to just four seconds at Glen Helen on the third lap with Livesey a further two seconds back in third but a third lap of 20:39.03/109.624 re-established his place at the front and his final lap of 19:41.11/115.00 gave him victory with an overall 1:20.28.97/112.511 by over twenty seconds from Behan (1:20.51.81/111.981). 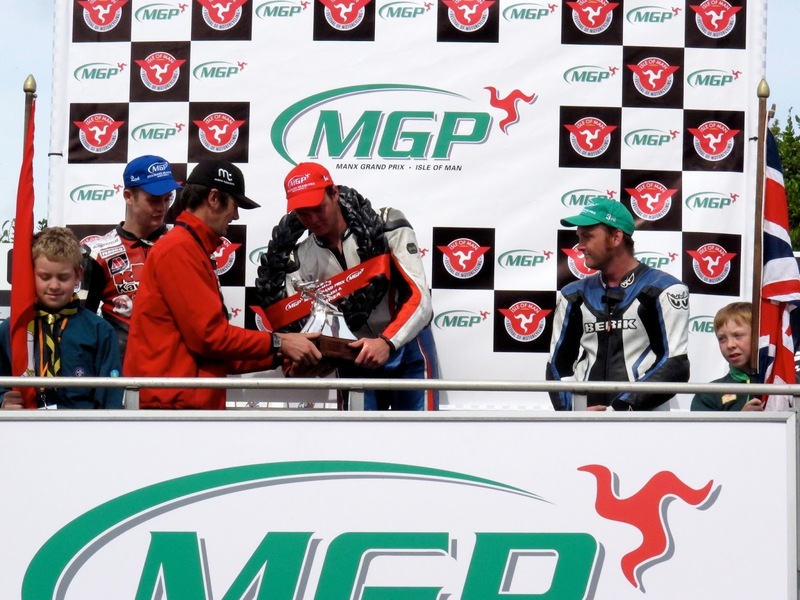 In the Newcomers B race Callum Collister went one better than his father Sean, who tried for twenty-five years to win an MGP race and never finished higher than second. 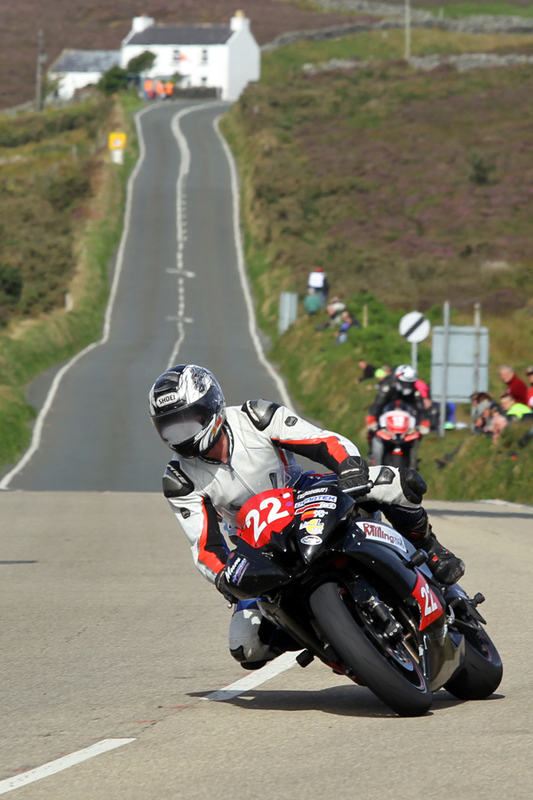 The Isle of Man rider passed fellow Manxman Joe Faragher after Glen Helen on the opening lap and with back to back 108mph laps built a lead of over forty seconds from Faragher by the end of the second lap with Yorkshire’s James Neesom third. That remained the top three at the end of the third lap with the trio well ahead of Durham’s Peter Minns in fourth. Collister clocked a lap record for the Newcomers B Class of 20:33.01/110.159 on the fourth lap to win the race with 1:23.41.88/108.189, giving the prolific Martin Bullock Manxsport team their thirtieth Manx Grand Prix race win with Faragher (1:24.21.12/107.350) and Neesom (1:26.02.97/105.23) finishing second and third. Irishman Ben Rea dominated the Newcomers C race, winning by well over a minute in 1:28.13.21/102.643. With fellow Irishman David Howard, who was second at the end of the second lap, retiring on the third lap, Richard Wilson from Nelson moved into the runners up position and finished with an overall time of 1:29.47.48/100.84. Scotland’s Derek Wilson took the final podium place with a race time of 1:36.57.98/93.38. A race report will be available on youtube by the end of the day via the Manx Grand Prix Races dedicated Youtube channel at www.youtube.com/themanxgrandprix.